Location: At km 48 on the N-332 Alicante to Cartagena main road. 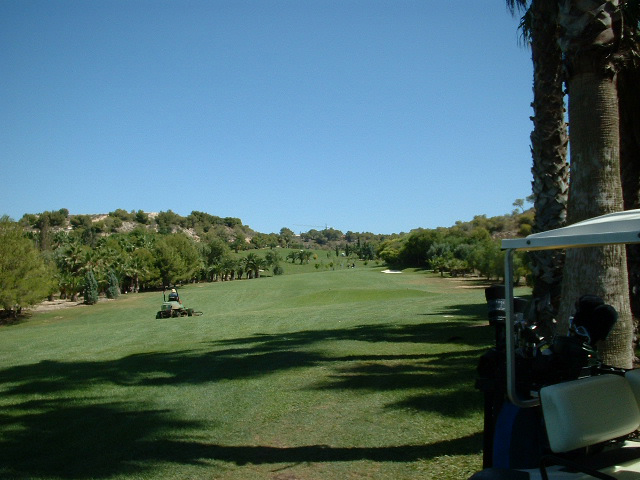 Facilities: Cafeteria, golf school, golf club hire, car hire, restaurant and shop. Location: At km 50 on the N-332 Alicante-Cartagena main road, turn right and the urbanisation Golf Villamartin is a further 3 km. Single green fee before 9am €45/after 9am €55. 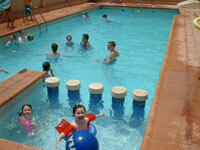 Cafeteria, golf school, golf club hire, swimming pool, tennis, car hire, restaurant, horse riding and shop. Location: From the N-332 Cartagena-Alicante road, km 48, the club is 9 km south of Torrevieja, and from the A-350 when you reach km 24, it is 300 metres to the club. Cafeteria, Golf School, golf club hire, car hire and shop. Depends on the month. Contact course for details. Green Fee: contact golf club. Facilities: Cafeteria, Golf School, golf club hire, swimming pool, tennis, car hire, paddle, restaurant, horse riding, sailing and shop. Sauna, cafeteria, golf school, golf club hire, children´s park, tennis, car hire, restaurant and shop.